There is a n old saying that “Blood is thicker than water”. This may be true, but is blood stronger than love? There are so many dynamics that can tilt the scale one way or another when we weigh out love and blood. When some of us have found ourselves in the unpopular position of having to choose one over the other, regardless of the choice, we still can find ourselves facing major disappointment. The power of the physical touch that comes with a love relationship is something almost all of us desire but family feelings are sometimes thrust upon us when our desire for love does not match our family’s choices. When we are forced to make a choice between the two, often there is a consequence; sometimes the expectations of either side can become a burden of the choice. As a man there may come a day when you meet a young woman who seems to draw you in, and can make you feel fantastic.When you choose her are you leaving behind a family member who has depended on you for help with a disabled parent, or some financial help that now goes to the new person in your life? Has your sister or mother seemed to resent your mate and she’s done nothing wrong? We all know this happens, but what we sometimes don’t know is the motivation behind it. Similarly, what about the young woman who is starting a relationship with a guy that the family doesn’t think is worthy of her? Will their love outlast family pressures and criticism? 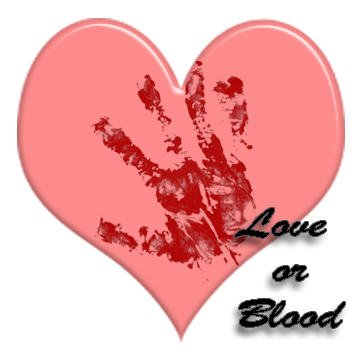 If the person choosing love over blood is victimized by the love how will the blood (family) respond? Many times a call for help can bring a rage from the family which is stronger than the anger exhibited by the victim. This is probably due to the hurt experienced by the family because of the choice. Sometimes the rage can cause a level of damage that destroys the relationship permanently and may result in legal issues. Some of us find a way to balance love and blood, while others have made decisions we have later regretted. Whatever the choice, rest assured there will be an impact. If you stay happy and distant from your family for love or vice-verse, just make sure you are comfortable with your decision. If the outcome is ugly and disappointing remember that recovery is also possible. Now that we are into the holiday season, how many of us will be asked to choose between love and blood when it comes to everything from family traditions to financial obligations. How we deal with the expectations of those around us can sometimes become more difficult than walking an oiled up tight rope. We are sometimes stumped when it comes to deciding what choices are proper or safe to make and how we can disappoint the least amount of people around us, but still find some well-deserved happiness of our own. Either way someone may end up hurt or disappointed. Are you ready to make some of those difficult choices and who will you hurt? When all is said and done, love most time wins out over blood and it may start with the motivation behind the choice. Warn hugs and kisses, holding hands, that feeling we desire that you just can’t get from family love. So if you’re the family member who is insisting that someone make a choice, be mindful of what you’re up against and choose your battles wisely. The choice you make today will determine your tomorrow! ← When Do I Seek Help?